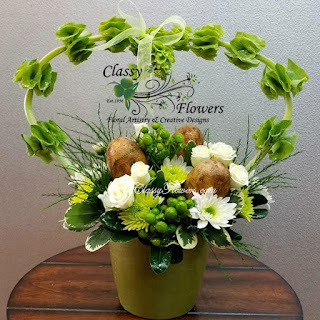 St. Patrick's Day is coming soon! We are a very Irish flower shop and we offer a cute and unique arrangment of flowers with potatoes and of course, don't forget that lovely heart made with Bells of Ireland for that special touch of Irish! Call or order online to get one of these beauties! 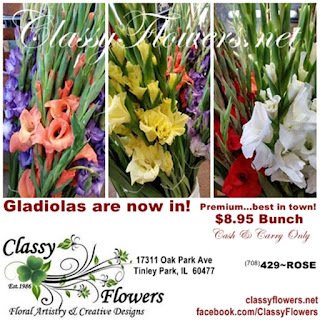 Our annual Gladiola Special is now here once again. Today is such a beautiful day, cool & sunshiny. But that's how I feel almost everyday here in our shop, we get to enjoy the beauty of nature all the time with beautiful flowers & plants! 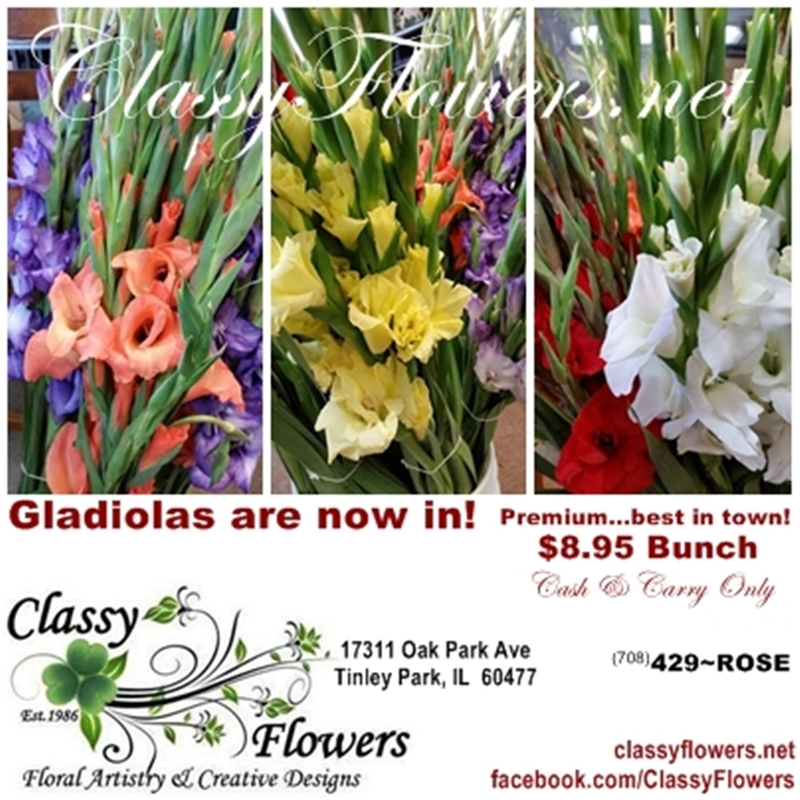 Gladiolas have now arrived! Every week we have them in our shop for all cash & carry customers. They are only $8.95 bunch (10 stems) Absolutely beautiful quality this year! Stop in & see us. Car Show is every Tuesday evening through Labor Day. If you're local, park at the train station & take a walk, our shop is right in the hub of things. We have so many classic cars parked right in front of our shop. AND you can then visit the inside of our shop. We have lots to offer! Did you know that I used to have greenhouses? We had a family business growing many different varieties beyond imagination. We started our seeding on certain plants in February, then each week more and more depending on the varieties. Yes, those were the days! Besides Fresh Flowers, I'll also be sharing with you some gardening tips which does include many flower tips too on each blog. I'll try and go along with what needs done when. 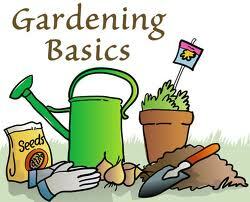 Now is the time to start tilling up your area where you plan on planting your garden and flower beds. But first, clean your yard up! Collect all those trigs & sticks and make a pile in your garden. By burning them, you are putting ash into your ground which gives your plants many nutrients. If you have been throwing your food wastes and leaves all winter, great! Now it's time to start tilling and turning over that soil. Onions and radishes are a couple favorites. The frosts most likely will not hurt them and if you had any from last year that you didn't pull up, most likely you are seeing them coming up once again. I love cutting the green tails and using them for fresh chives. Lettuces of all varieties are great if you love mixed salads! I wish I had a photo of our gardening barrels we used to use. 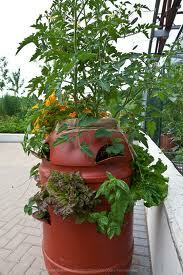 We would have an entire garden growing in one huge barrel with holes in different places around the diameter of it. Great for if you are in limited space such as a condo, apt. etc. Remember, "Our Blossoms Deliver Smiles"